Fri-DAY! Well I sure hope when you read that it comes off the way it did for me, either way it's that wonderful day when the week and the weekend do their dance of love around 5:oo Pm, and they'll be flirting all day long. So what is so exciting about this weekend, well Kentucky will scrimmage North Carolina on Saturday morning. I can't believe I am saying this, but more importantly is the SEC championship game. Ugh, I hate to admit it but I'll be cheering for UT to upset LSU this weekend...and no I haven't lost my mind. If the Vols can knock off the soon Les-less tigers than UK has a great shot at playing the Chick-F-ila Bowl in Catlanta. 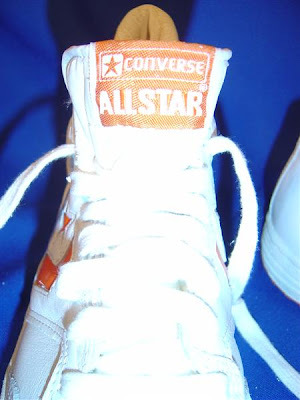 Not only would the game be inside, there would also be a stop at the Converse store Dawsonville, GA. I know it's not exactly on the way, but I am hoping it's close enough. So what does that have to do with anything I am going to post up today? That's a pretty good to a great question to ask. 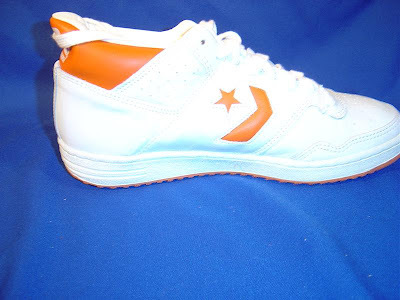 Today's flashback, the Startech, is a basketball shoe from the 80's it came in low, 3/4, and high top. I've got a few other pictures, but I am going exclusively with the white/orange 3/4 top colorway to give a little added support for Smokey and the rest of the Vols. Okay so this is a really crappy picture, for one that big logo is in the center of it, which I am too cheap to buy so, that you www.gettyimages.com. 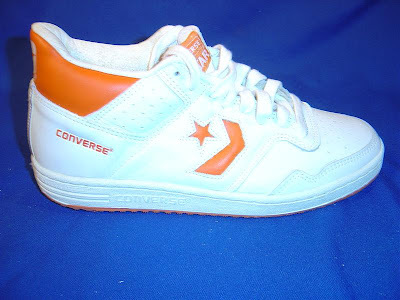 Second because when it shrinks down it's hard to make out the shoe that this Lady Vol is wearing, but it is in fact the 3/4 Converse Startech pictured below. 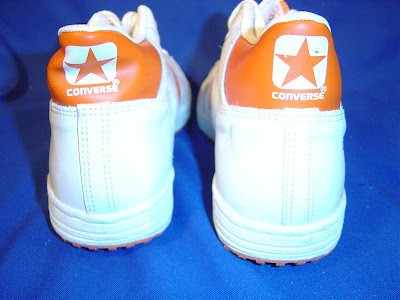 So there is the proof that the Vols, did wear these shoes. So take that naysayers. 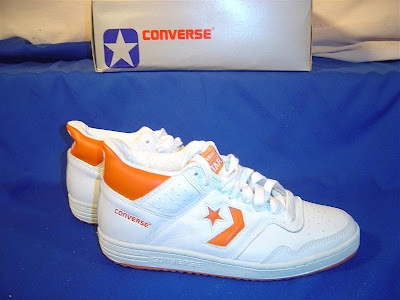 Classic 80's silver box with the square star, aka golden days. The Startech was the follow up to the Weapon and I am pretty sure it came out in 1987. 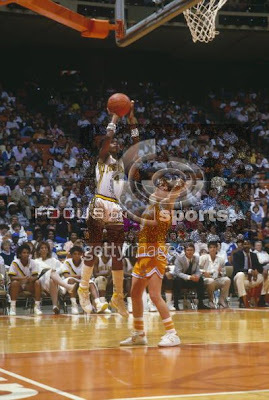 I've seen many different colorways, one was on David Robinson while he was playing at Navy, in navy/white colorway. These shoes are a classic, from the Chevron and Star, to the Square logo heel patch. I always thought that most 3/4 shoes were for Tennis, but once I found these I knew otherwise. I've never played in a 3/4 shoe, but maybe some day. Maybe that will be the next trend to re-issued like crazy. Well that was that certainly easier than the actual rooting for Tennessee will be tomorrow, but I just have to remember it's for the good the Wildcats. Even then I am not completely sold. Well that's it for today, enjoy your weekend go Vols!?! Thanks for coming, please help spread the word about The Converse Blog! Hey, were can I buy these shoes? At this point only on eBay, hopefully in the future they might be re-issued.